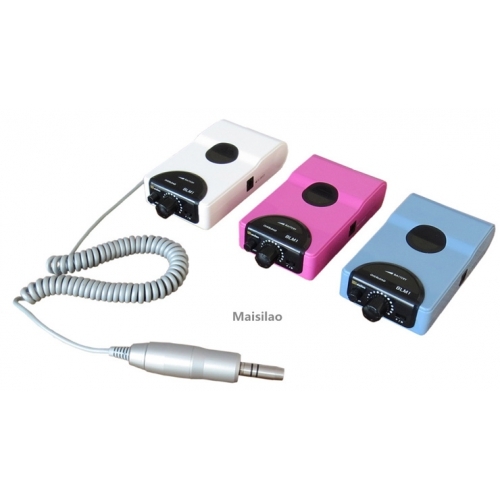 Buy Cheap Maisilao® M1-E Portable Micro Motor Monobloc Handpiece form Alandental.com|Dental Equipment for Sale! 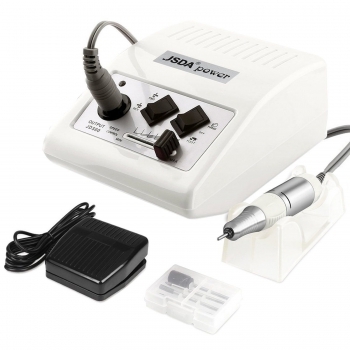 Ideal for dentists , technicians and students who want a very light and powerful motors. 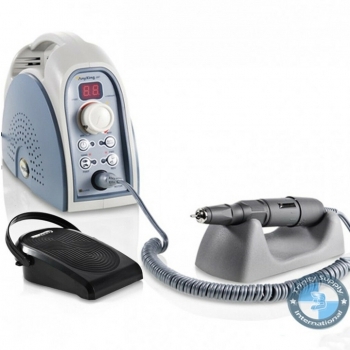 The control box with electric motor E type connector, which is compatible with the against - angle handpiece and other brands, such as NSK etc. .
1 . Control box very light ( 185g ) and three colors to choose from. 2 . 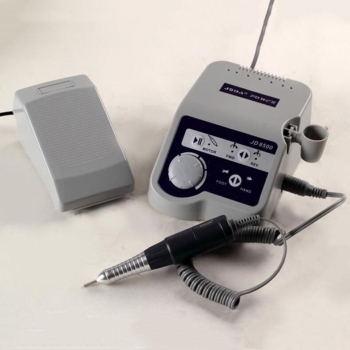 The E type connector electric motor , which is compatible with the against - angle handpiece and other brands, such as NSK operates without vibration. 3 . High-tech , attractive appearance . 4 . Carbon brush motor . 5. Easy to use, delivered with a charger. 6 . Efficient electrical design , it generates little heat after long - term operation . 7 . Speed ​​from 0 to 30.000 rev / min . 8 . Applicable for the treatment of teeth , jade , and the nail, also for carving stone and wood. This is my first purchase from your site, great price and fast shipping! The products are in good condition. I will order few days later! Thanks. High Tech, state of art design. Hand/ foot mode and forward/ reverse direction. 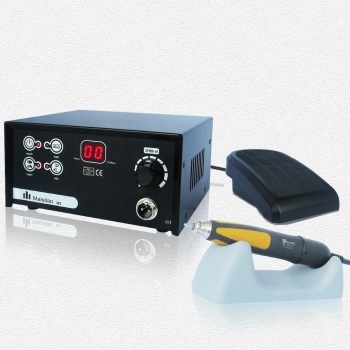 Digital control and displayer (45,000rpm). Easy potable design and best powerful model. Available with foot speed control pedel .